Is China Serious About Banning North Korean Coal? On China’s suspension of coal imports from North Korea, a healthy dose of skepticism is needed. On Saturday, China’s Commerce Ministry announced that it would suspend imports of North Korean coal for the rest of 2017. Beijing’s precise intentions are not fully clear, but one can surmise that there are several: to punish North Korea for its missile test on February 11, and to send a signal to the new Trump administration about China’s willingness to engage in talks on the North Korean nuclear issue with all parties involved. One might suspect it is also a signal to Pyongyang after the killing of Kim Jong-nam, Kim Jong-un’s half brother, who had strong ties to China and reportedly lived under Chinese protection. If China fully follows through on the suspension, the North Korean economy could take a significant hit. North Korea is strongly dependent on income from the coal and minerals it sells to China. Around 90 percent of North Korea’s trade occurs with China, and out of that, 40 percent consists of coal and minerals, according to figures from last fall. But the decision may not be as radical as it seems, in diplomatic or economic terms. As is usually the case with Chinese trade policies vis-à-vis North Korea, domestic considerations may be far more important than international ones, as China is already embroiled in a struggle to cut domestic coal consumption and production to stem the smog problem. Moreover, since global coal prices have been on the rise, China may be pre-empting the $700 million cap on North Korean coal imports imposed by the UN last year, given delivery contracts already signed, as Choson Exchange notes. In a way, the Chinese announcement is a tacit recognition that the country has been lax in enforcing sanctions in the past. This is not the first time China announced a type of import ban on North Korean coal in order to comply with UN sanctions. But it has consistently chosen to use the wiggle room provided by vague wording of sanctions regulation. North Korea remains a strategic asset for China as a buffer between itself and South Korea, a strong U.S. ally. China’s strategic priority remains clear: to maintain stability in its neighborhood. This includes an interest in ensuring a basic level of economic well-being to prevent refugees from pouring across the border in the event of famine and other hardship, as happened in the 1990s. China has consistently shied away from fully implementing international sanctions on North Korea, and tightened the economic screws only temporarily, to let flows continue as normal after symbolic halts. If history is any indicator, a full suspension of coal imports may in the end not be completely enforced in the way that some would hope. It is important to remember that China is already obligated to suspend most mineral imports from North Korea under the UN Security Council Resolution 2270. The resolution was adopted in early March last year, after the first of the two nuclear tests of 2016, and mandated the ban on member states on imports of North Korean minerals, including coal. The resolution, however, contained a massive loophole and excluded imports whose proceeds went to humanitarian purposes. Needless to say, determining precisely what coal imports from North Korea would generate revenue going toward humanitarian purposes inside the country – and what exactly counts as “humanitarian” – is close to impossible. Though the sanctions under resolution 2270 were by far the strongest ever adopted by the council against North Korea, in retrospect, the humanitarian exemption appears to have been designed specifically to give China the wiggle room to choose its own trade policy vis-à-vis North Korea, regardless of what sanctions mandate. By continuing its imports of North Korean coal, China can perhaps credibly point to the humanitarian exemption clause, but at the very least, this behavior would seem to go counter to the spirit of the sanctions. Still, during the summer, things looked relatively normal along the border. On a visit to the Sino-Korean border area in late June last year, I spoke to several people involved in the border trade who said that goods were flowing just as normal. Trade was bustling, and around a total of 200 trucks – the number commonly estimated for a regular day before the sanctions were put in place – either crossed the bridge connecting North Korea and China or waited in line to cross. Some told me that Chinese imports of coal had gone down, but that this was more due to a decline in domestic demand for North Korean coal than the UN sanctions. Trade in coal between the two countries fluctuates for a whole host of reasons other than sanctions. A change in demand from Chinese firms has historically often been the most important explanation for changes in Chinese coal imports from North Korea. Domestic considerations probably loom large in the suspension announcement as well. Remember, for example, that Chinese authorities are already trying to cut down on domestic coal consumption and production to combat smog and pollution. At first, the summer did see a significant drop in trade between North Korea and China. In July, trade as measured in terms of dollar value plunged by 27 percent for July 2016, compared with the same month in 2015. This came after a smaller decrease in April, the same month that Chinese authorities formally announced the embargo. This trend, if it could even be called a trend, did not last long. In August, China bought around 2.5 million tonnes of coal from North Korea, the highest figure ever recorded for a single month. This more than made up for any previous declines. All in all, imports of North Korean coal rose the same year that sanctions were supposed to prohibit it almost completely. In other words: after tightening the screws in the beginning, seemingly to make a point and give a symbolic show of compliance, China’s sanctions regime appeared to let up almost completely, and things went back to normal. Will this time be any different? It is possible, but we should not be surprised if news of continued coal shipments surface later in the year. 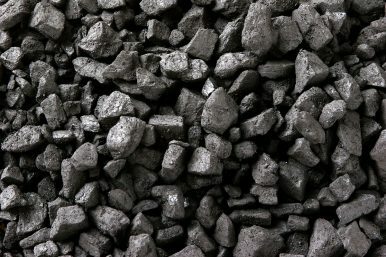 Though trade in coal could reasonably be expected to decline for some time, as it has in the past, it would not be wholly surprising if it returned to normal levels after a short and symbolic embargo period. As long as China’s strategic calculations do not change drastically, its policies toward North Korea probably will not either. Benjamin Katzeff Silberstein is co-editor of North Korean Economy Watch, a website specializing in analysis of the North Korean economy. He is also a non-resident Kelly Fellow at Pacific Forum CSIS, and a doctoral student at the University of Pennsylvania.